This is the Medium edition of our complete Ice-O-Lator® system, suitable for up to 500 grams of dried plant material. 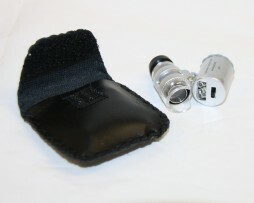 The set includes a 220, 185, 120, 90, 70, 45, and a 25 micron screen bag. Consequently, this equipment will give you a maximum five degrees of quality/crystal size separation of your end product. With this set you can collect and separate resin glands of bigger sizes (120, 90 & 70 μm), as well as trichomes in the small- and mini-crystal ranges (45 & 25 μm). 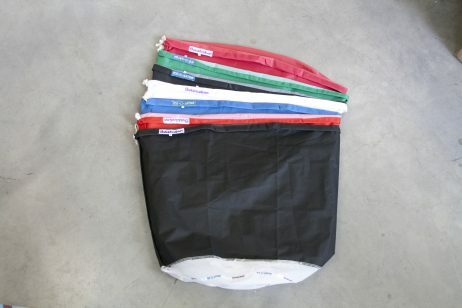 The 185 μm additional filter bag is a great help in preventing plant contamination from reaching your product. As each plant material is different, the 7 Bag Set gives you some play to adjust accordingly. No matter what the overall crystal size is, you can combine the right filter sizes to hold back leaf with the right crystal-catching mesh sizes to catch and separate trichomes. 220 μm, 185 μm, 120 μm, 90 μm, 70 μm, 45 μm, or 25 μm. For additional information and instructions, please check our Manuals. Keep your water at or below 4°C (39.2°F), as it is the densest and therefore most effective in removing resin glands at this temperature. You will achieve the absolute prime quality by slowly and carefully stirring. As the quality of your product declines as the plantmaterial continues to be stirred, we recommend working your material in several rounds to obtain separate batches with a quality gradient.